The Indian government announced today that it will allocate Rs 500 crore for its Digital India initiative to set up broadband network in villages and promote local manufacturing of hardware and Indian software products. 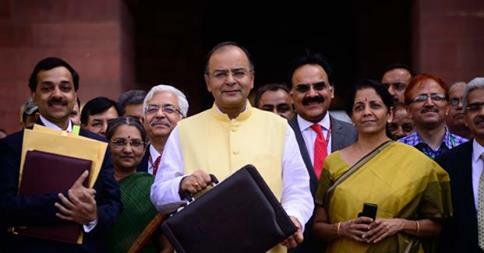 “Under the Digital India initiative, National Rural Internet and Technology Mission, the government will focus on setting up broadband in villages, promote local manufacturing of hardware and Indian software products,” finance minister Arun Jaitley today said while presenting the Budget for 2014-15. “A special focus will be on supporting software products startups. A National Rural Internet and Technology Mission service in villages and training in IT…I have provided a sum of Rs 500 crore for this purpose,” he informed Parliament. Moreover, in order to provide more opportunities for the technology firms, the minister proposed to set up 100 smart cities for which the government will provide Rs 7,060 crore. Besides, in a bid to boost the earnings of the small and medium enterprises, Jaitley said manufacturing units will be allowed to sell their products through retail and e-commerce platforms.